I am a Licensed Marriage and Family Therapist, and a Child Custody Mediator. 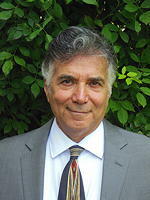 I have been a therapist since 1982 and maintain a private practice in Santa Cruz, CA. Since 1985, I have served as a child custody mediator for The County of Santa Cruz Superior Court. I am an educator offering workshops both nationally and internationally on marriage, divorce, parenting, education, personal and professional development, conflict resolution, and the developmental needs of children. Bored and want to play a game? Thank you and please return. Copyright © Michael Scott, 1996-2019. All rights reserved.